As far as doing the banking goes, we’ll leave the choice to you. We are always pleased to see you in our branches. 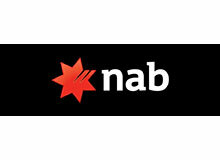 Or you can choose to serve yourself 24 hours a day with e-banking, Phone Banking, ATMs or EFTPOS. Whether it’s your personal banking or your business banking, we have a wide range of banking and other financial services to help you achieve your goals in life. And while we’re immensely proud of our history, we’re also very excited about the future.